– Joseph Cicciu, President/CEO, Notre Dame Housing DFC. Inc.
Notre Dame needed capital for repairs and to replenish reserves that could not be funded from operating cash flow. SMF developed a refinancing loan that was sufficient to recapitalize the property and resulted in a 40% reduction of the interest rate. HUD approved the deal in 45 days. Through the new loan, Notre Dame has a sound capital and operating platform to continue its mission. 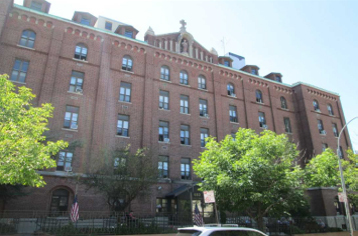 Notre Dame Apartments, a former convent in the Belmont – Arthur Avenue neighborhood of the Bronx, NY, was redeveloped into a 98-unit affordable senior housing project by a local community agency in the mid-1980s. In 2005, SMF initially recapitalized Notre Dame with a HUD-insured Section 223(f) loan. The Sponsor turned to SMF again when it needed to finance significant exterior repairs and replenish its capital reserves that could not be financed from operations and existing reserves. SMF underwrote a new $6,736,200 loan with a 35-year term insured under the Section 223(f) program. The new loan refinanced Notre Dame’s 2005 debt. In addition, approximately $616,000 in loan proceeds were escrowed for exterior capital repairs, while the Replacement Reserve Fund was replenished with an additional $583,000 funded from the new loan. SMF assisted the Project’s legal team in structuring revisions to its Shelter Tax Agreement with the City of New York Department of Housing Preservation & Development which ensured a long-term tax abatement for the property. The existing agreement did not meet HUD’s current loan program requirements and therefore needed to be amended to recapitalize the Project. The new loan reduced the interest rate by nearly 40%, increasing the Project’s debt capacity to fund the repairs and reserves. The Northeast Regional HUD Office approved the Firm Commitment Application in 45 days, its targeted schedule for Section 223(f) loans. Because of the SMF loan, Notre Dame Apartments has a source of new capital for improvements and reserves, and a long-term tax abatement that will help to maintain a stable operating profile, enabling the Sponsor to continue its mission of providing affordable housing to low and moderate-income elderly.